So, this book has been waiting to be reviewed for ages. And it has nothing to do with the quality of this book. Or, actually, it does. It’s like a negative correlation: the better the book the harder it is for me to review it. Ah, first world problems. What I’m trying to say is that this book is really good. 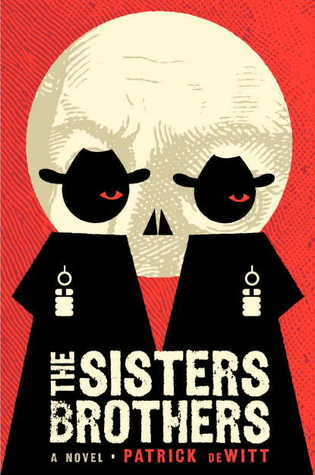 It’s about these two brothers – Charlie and Eli Sister – who are basically hired guns in the mid-1800s. They are the de facto arm of the law in the western territories where state or federal government hasn’t really been established. I know what you’re thinking: vigilantes? No, fanks! But guys, these brothers don’t only answer to money or their boss. They operate under a higher and more sacred system: honor. You know when honor is involved, things get real. And quick. Because this is the gold rush and money is what it’s all about. And whores. There are plenty of those, too. So, a little something for everyone. Well played, Mr. DeWitt. Despite this difference – and many others – between the two brothers, they agree they have to finish this job together. Then, perhaps, they will go their separate ways and do what is best suited for their dreams and personalities. And the commission from this job will make that possible. We got a real American Dream up in here! Then, they hit a road block. Turns out that the guy they’ve been chasing down hasn’t really cheated their boss out of money. He just refused to share the secret behind a mechanism he invented to make finding gold dust in river beds easier. And this doesn’t sit well with the Sisters brothers, especially Eli: “I have never minded cutting down the Commodore’s enemies much, brother. It always happens that they are repellent in one way or other. Lesser villains, men without mercy or grace. But I do not like the idea of killing a man because of his own ingenuity.” (197) See what I’m talking about, guys? Honor! Now the brothers have to decide: do they hang up their morals, make their boss happy, and go on to pursue their dreams? Or do they give up this dishonorable job, hide out to avoid their boss’s wrath, and give up on everything they’ve worked for? What a pickle. A really good one with great writing. 4.5 out of 5 coffees. you’ve got the opportunity, Guess I’ll just bookmark this site.